1. The website is owned, managed and operated by The Body Shop – Sri Lanka. 4.The Body Shop - Sri Lanka at its sole discretion reserves the right not to accept a User from registering on the Website without assigning any reason thereof. The Body Shop - Sri Lanka may terminate User's access to the Site or any part thereof at any time and for any reason without any notice. The provisions regarding disclaimer of warranty, accuracy of information, software, database other system or functionality of website and indemnification shall survive such termination. 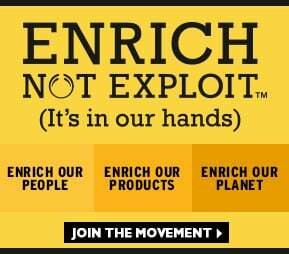 The Body Shop – Sri Lanka may monitor User’s access to the Site. 6.All contents on the Site are the exclusive property of The Body Shop - Sri Lanka except the third party content. The software, text, images, graphics, video and audio used on the Site belong to or are licensed to The Body Shop - Sri Lanka, its franchisor, The Body Shop International Limited. UK (BSI), its subsidiaries and affiliates. No material from the Site may be copied, modified, reproduced, republished, uploaded, transmitted, posted or distributed in any form without prior written permission from The Body Shop - Sri Lanka. All rights not expressly granted herein are reserved. Unauthorised use of the materials appearing on the Site may violate copyright, trademark and other applicable laws, and could result in criminal or civil penalties. You are granted a non-exclusive, non-transferable, limited right to access the Site and avail the services provided by The Body Shop - Sri Lanka on the Site. The User agrees and undertakes not to reverse engineer, modify copy, distribute, transmit, display, perform, reproduce, publish, license, create derivative works from, transfer, or sell any information or software obtained from the Website. Limited reproduction and copying of the content of the Website is permitted provided that The Body Shop – Sri Lanka's name is stated as the source and prior written permission of The Body Shop – Sri Lanka is sought. For the removal of doubt, it is clarified that unlimited or wholesale reproduction, copying of the content for commercial or non-commercial purposes and unwarranted modification of data and information within the content of the Website is not permitted. You shall not make any derogatory, defamatory, abusive, inappropriate, profane or indecent statement/s and/or comment/s about The Body Shop - Sri Lanka, its franchisor, associates and partners on any property owned by The Body Shop - Sri Lanka. The user guarantees, warrants, and certifies that you are the owner of the content which you submit or otherwise authorised to use the content and that the content does not infringe upon the property rights, intellectual property rights or other rights of others. You further warrant that to your knowledge, no action, suit, proceeding, or investigation has been instituted or threatened relating to any content, including trademark, trade name service mark, and copyright formerly or currently used by you in connection with the Services rendered by The Body Shop - Sri Lanka. The website may contain links to other websites ("Linked Sites").The Linked Sites are not under the control of The Body Shop - Sri Lanka or the Website and The Body Shop - Sri Lanka is not responsible for the contents of any Linked Site, including without limitation any link contained in a Linked Site, or any changes or updates to a Linked Site. The Body Shop – Sri Lanka is not responsible for any form of transmission, whatsoever, received by you from any Linked Site. The Body Shop – Sri Lanka is providing these links to you only as a convenience, and the inclusion of any link does not imply endorsement by The Body Shop – Sri Lanka or the Website of the Linked Sites or any association with its operators or owners including the legal heirs or assigns thereof. The users are requested to verify the accuracy of all information on their own before undertaking any reliance on such information. The Body Shop - Sri Lanka, its franchisor, The Body Shop International Limited. UK (BSI) is, unless otherwise stated, the owner of all copyright and database rights in the site and its contents. You may not publish, distribute, extract, re-utilize, or reproduce any part of the site in any material form (including photocopying or storing it in any medium by electronic means) other than in accordance with the limited use license set out in our copyright notice or as permitted by the Sri Lankan Copyright Act, 1957 or The Trademark Act, 1999 as applicable or any equivalent legislation as may apply in Sri Lanka. All brand, product and service names used in this site are the trademarks, trade names or service marks of The Body Shop International Limited unless otherwise stated. You may not market or distribute products or offer services under or by reference to or otherwise use or reproduce any such trademarks, trade names or service marks without the prior written permission of The Body Shop International Limited or the owner of such trademarks, trade names or service marks. You inform the third party that these conditions apply to him or her and that he/she must comply with them. This license to recopy does not permit incorporation of the material or any part of it in any other work or publication, whether in hard copy or electronic or any other form. In particular (but without limitation) no part of a page from the website of The Body Shop may be distributed or copied for any commercial purpose. No part of the website of The Body Shop - Sri Lanka may be reproduced or transmitted to or stored in any other web site or other form of electronic retrieval system. The information contained in this website, including text, graphics, links or other items are provided on an 'as is', 'as available' basis. The Body Shop – Sri Lanka does not warrant the accuracy, adequacy or completeness of this information and material and expressly disclaims liability for errors or omissions in this information and material. No warranty of any kind, implied, express or statutory, including but not limited to the warranties of non-infringement of third party rights, title, merchantability, fitness for a particular purpose and freedom from computer virus, is given in conjunction with the information and materials. 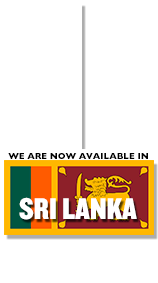 The Applicable Law relating to the Content, access and use of this Website is that of Sri Lanka. Use of this Website indicates your irrevocable and unconditional consent to submit to the exclusive jurisdiction of the Courts of Sri Lanka. The User's right to privacy is of paramount importance to Quest Holdings Lanka Pvt. Ltd. (The Body Shop - Sri Lanka). Any information provided by the User will not be shared with any third party, except for the intended purpose for which such information is provided by the User, in which case User’s consent is implied. The Body Shop - Sri Lanka reserves the right to use the information to provide the User a more personalized online experience. If the Site provides links to web sites and access to content, products and services from third parties, including users, advertisers, affiliates and sponsors of the Site, you agree that The Body Shop - Sri Lanka is not responsible for the availability of, and content provided on, third party web sites. The User is requested to peruse the policies posted by other web sites regarding privacy and other topics before use. The Body Shop - Sri Lanka is not responsible for third party content accessible through the Site, including opinions, advice, statements and advertisements, and User shall bear all risks associated with the use of such content. NSE is not responsible for any loss or damage of any sort which User may incur from dealing with any third party. In general, you can visit The Body Shop - Sri Lanka’s websites without telling us who you are and without revealing any information about yourself. There are times, however, when The Body Shop - Sri Lanka may need information from you. The Body Shop - Sri Lanka provides the information to trusted partners who work on behalf of or with The Body Shop - Sri Lanka under strict confidentiality agreements. The Body Shop - Sri Lanka believes it is necessary to share information in order to investigate, prevent, or take action regarding illegal activities, suspected fraud, situations involving potential threats to the physical safety of any person, or as otherwise required by law. The Body Shop - Sri Lanka transfers information about User if The Body Shop - Sri Lanka is acquired by or merged with another company. User may choose to give The Body Shop - Sri Lanka personal information, such as your name and address or e-mail id that may be needed, for example, to correspond with you, or to provide you with a subscription. You may send or upload your personal profile, CV, with all your personal, academic and professional background however you agree that you shall not upload or post any obscene, defamatory annoying material on the website. If you tell us that you do not want us to use this information as a basis for further contact with you, The Body Shop - Sri Lanka will respect your decision. The Body Shop – Sri Lanka intends to protect the quality and integrity of your personally identifiable information. The Body Shop – Sri Lanka will make a sincere effort to respond in a timely manner to your requests to correct inaccuracies in your personal information. To correct inaccuracies in your personal information please return the message containing the inaccuracies to The Body Shop - Sri Lanka with details of the correction requested. The Body Shop - Sri Lanka sometimes collects anonymous information from visits to the Site to help us provide better customer service. For example, The Body Shop - Sri Lanka keeps track of the domains from which people visit and The Body Shop - Sri Lanka also measures visitor activity on the Site, but The Body Shop – Sri Lanka does so in ways that keeps the information anonymous. The Body Shop - Sri Lanka or its affiliates or vendors may use this data to analyze trends and statistics and to help us provide better customer service. The Body Shop - Sri Lanka maintains the highest levels of confidentiality for this information, our affiliates and vendors follow the same high levels of confidentiality. This anonymous information is used and analyzed only at an aggregate level to help us understand trends and patterns. None of this information is reviewed at an individual level. If you do not want your details to be used in this manner, you can either disable your cookies or opt-out at the download or request page.